Colour is an emotional cue and can be used when marketing a product or a brand to have a powerful influence on how people think and behave. In a study looking into the impact of colour on marketing, researchers found that up to 90% of snap judgements formed regarding a product are based on colour alone – first impressions really do matter! 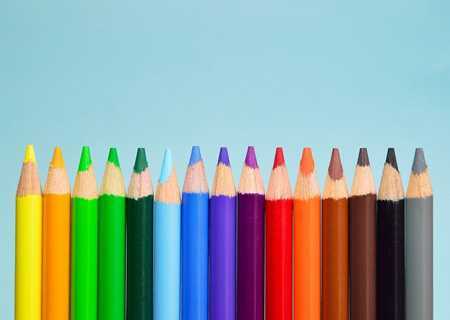 Despite the relevance of colour use in branding and marketing, it’s also important to remember individual differences. The perception of different colours is related to personal experiences and preferences too; for example, there are gender and cultural differences in colour preferences. However, there are general responses to different colours that can be considered in marketing and that are useful to apply to your social media strategy when driving engagement. Red is a powerful colour and is best used to grab someone’s attention (notice the use of red in our logo!) It relates to love, passion and energy but it also conveys anger and danger. Orange is a positive colour, reflecting warmth, courage and a sense of fun. Similarly, yellow is the colour of joy, motivation, happiness and inspiration. Many restaurants, including McDonald’s and Pizza Hut, use the colour red in their branding as red is said to stimulate appetite. Additionally, the primary colour red notoriously linked to Coca Cola shows the successful use of colour in Coca Cola’s branding. Green represents balance and harmony. It’s a colour of nature, health and wealth but it can also represent jealousy and guilt. Blue is a globally well-liked colour with the most positive connotations. It brings about a sense of intelligence, calmness and trust, which is important when building relationships, particularly in marketing. However, if used too much it can be perceived as cold. As the colour blue has a trustworthy, dependable feel, it’s used by the NHS and also financial institutions such as Barclays. Purple conveys imagination and spirituality, whilst also being commonly used to show luxury and royalty. It can have connotations of mystery and moodiness too. Pink is a romantic colour that creates a sense of love, nurture and sensitivity, but it can also convey weakness and immaturity. Cadbury’s logo incorporates the colour purple; a colour that strongly portrays luxury to the public. Brown is not the most stimulating colour and can be seen as boring if overused in marketing, but it does represent structure and security. Black represents seriousness, professionalism and sophistication. As a very dark colour, it also brings about connotations of evil and death. Finally, white is a colour of purity, innocence and peace. It’s also commonly used to show simplicity and cleanliness but can also show isolation. Black is used in the logos of many luxurious brands, such as Chanel and Dior. This emphasises the feeling of sophistication and elegance. Being aware of the connotations of different colours and the influence of these colours on customers thought processes and behaviours is useful when considering how to successfully market your brand or product. If you would like further hints and tips on how to make your brand visually enticing, take a look at Wagada’s Marketing Strategies or get in touch today!